The Goodreads Giveaway for Rise of a Queen has started for the week. Hurry up and enter to win your own physical copy. Update: it went fron 85 to 138 people requesting (as of this wonderful Wednesday morning). If you haven’t registered for your copy, get your name in, I think you will enjoy it! 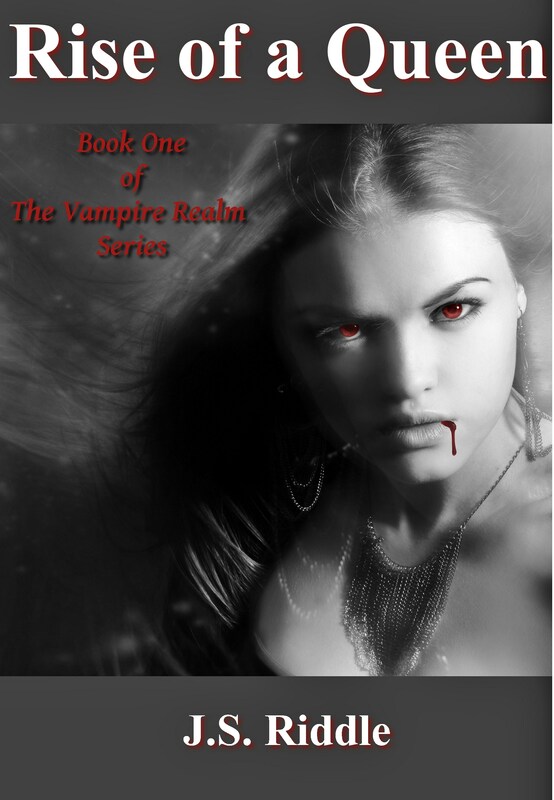 This book is for those who want to see the vampire as they truly should be: ruling the world, constant push and pull of humanity and vampires alike, no sparkling involved. Oh and did I mention that there is lots of revenge, justice, and death? Not your average chick lit, so be warned! If you don’t want to wait and are interested in a copy for your kindle or for those who want to touch and breath the aroma of a true book head on over to the blue links above and below. Check out the reviews and I can’t wait to hear your feedback! Mother’s Day is for who again and why? LOL, no sparkling allowed, I love it! I love your red hair! I have to say I’m very anti- that whole sparkly series and the author herself; though I’ve never read the books. And I have been specifically told not to by a librarian friend not to bother. I attempted to read the books, couldn’t get past chapter one. My editing and grammar skills may not be their best, but I believe those books could have been written by a child as simplistic as it was 🙂 and I’m an anti-anything popular maybe. I’ll admit that I haven’t read any literature geared toward women in general. I like the concept of your story. Anyways, off topic, I read, somewhere in other parts of the world, vampire breeds are pretty disturbing. Four of the freakiest vampires I can think of. The Aswang of Philippines. In Malaysia, the Penannagal, not to mention the two disturbing wenches, the Pontipinnak and the Langsuir. giveaway to watch out for! Reminder to get your name in there for a nice thick copy.